I was very interested to read that the Irish State has been found to blame for abuse in Irish Schools by the European Court of Human Rights. Kelly O'Keeffe took the case to Europe after the Supreme Court ruled the State could not be held responsible because the national school in question had been run by an independent board at the time. She was abused when she was nine years old by her teacher Leo Hickey at Dunderrow National School in Co Cork in 1973. Decades later, Hickey was charged with 386 criminal offences involving 21 former Dunderrow pupils. It is interesting that the European Court found that the Irish State had not only been negligent, but also were in breach of Human Rights Legislation under under Sections 3 and 13 of European law. The case had been taken to the Supreme Court in Ireland without success. The European Court, much chastised by our own government, found for the victim of abuse in circumstances, which seem just, and where, perhaps, the precedent led Irish Court had taken an overly technical approach because it felt bound to do so because of previous cases. The European Court stands as a tribunal which is totally independent of the national interests of countries, which, for reasons which may be related to political pressure, despite efforts to avoid the influence of politicians, can make decisions free of anything other than the pure application of law. I have blogged before about the way in which the judiciary in this country is being leaned about by the executive, or parliament, to put it another way. England , and presumably other countries, do not like when a Court overrules their judicial decisions, or criticises the way in which their government behaves. Without appearing to be too hysterical, the growth of international safety nets such as the United Nations, NATO, etc. has served a similar purpose, and has been effective in preventing a World War since 1945. There are signs in this country, that the law is being extended to impose liability on local authorities who attempt to delegate responsibility for child care to independent contractors. In the case of Woodlands v Essex County Council 2013, the Supreme Court found a local authority liable for negligence by an independent swimming teacher after a child nearly drowned during a swimming lesson, and suffered brain damage. Commentators wonder whether the principle can extend liability for foster parents to them as well. The newspaper reports shows how delighted Ms. O'Keeffe, who will have been enraged at the lack of justice administered by the Courts in Ireland, is by the decision. She is the victim of the abuse by the state, who, when she has tried to obtain compensation, has been rejected once again by the very body she deems responsible. The attitude of a victim to authority is usually averse to any abuse of power because in childhood, they have been abused by someone with power over them. "Minister for Education Ruairi Quinn said that while his sympathy is very much with Ms O'Keeffe, he will have to consider the judgment and receive advice before he can give a reaction. 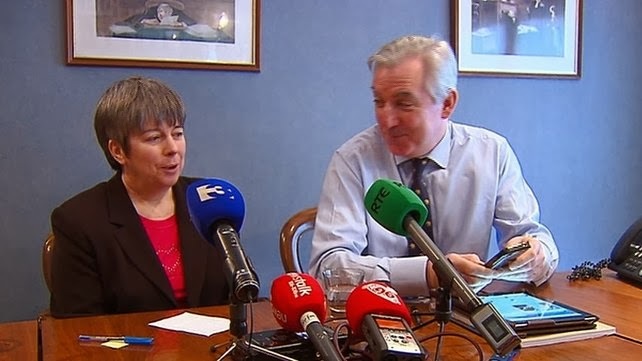 Asked if he would give Ms O'Keeffe an apology, he said that he is glad she has got a result, but he will have to consider the implications of the ruling." No ruling of the European Court is binding on a nation state. They can ignore it if they wish. Judging by the strength of feeling amongst the victims of abuse, it would seem unlikely that the Irish State will turn its back on the judgment.